This year’s 100th show could prove to be a not-to-be-missed event. On June 15, the 2009 "Salon de L’Aéronautique et de L’Espace" will open, becoming the 48th Paris Air Show and celebrating its 100 anniversary since starting as a small exhibition for aeroplanes in the Grand Palais of Paris, just off the Champs Elysées. It is also believed to be the 85th anniversary of the first public display of a successfully flown helicopter. Genesis of the show occurred in 1908 during the 11th Paris Motor Show when that show’s organizer, Gustave Rives, set up an aeronautical exhibition for the few flying machines in France at that time. 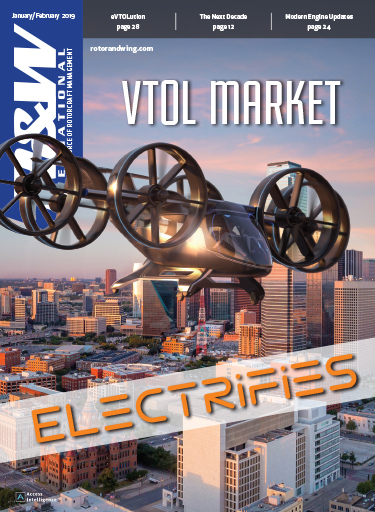 The success of the aeronautical display at the automobile show led the next year to the "Exposition de la Locomotion Aerienne," a full exhibition of aircraft with 380 exhibitors and some 100,000 visitors. The show was hosted by France’s first aerospace industries’ trade association, the Chambre Syndicale de L’industrie Aeronautique, created by pioneer aircraft manufacturers such as Louis Bleriot, Louis-Charles Breguet and Gabriel Voisin. The aircraft were floated on barges up the Seine and carried on horse drawn wagons to the Grand Palais. That was also the year that Bleriot became the first aviator to fly the English Channel, the largest body of water flown over by aircraft to that date. The first exhibitors were all French until 1924, when foreign companies (primarily British and German) were allowed to exhibit for the first time. That is also believed to be the first time that a "working" helicopter was included in the show. On April 18, 1924, Marquis Raul Pateras Pescara, an Argentine lawyer and inventor who worked in France and Spain, flew his Pescara Number Three helicopter to a new world record of 736 meters (2,415 feet) in 4 minutes and 11 seconds (roughly 13 km/h or 8 mph) at an altitude of 1.8 meters (6 feet). The helicopter rotor system had a twin coaxial double rotor system, giving it 24 rotor blades. 1924 was also the year the Paris Air Show went from annual to biennial. The Farnborough Air Show, which began in 1932 at Henden, England, went biennial in 1962, with the two shows subsequently alternating years. The Paris show continued to be held at the Grand Palais until 1946, with interruptions for World War I and World War II. In 1946 it was moved to Orly airport to allow flying displays. It then moved again with the 1953 show to its present site at Le Bourget. Perhaps the second most significant helicopter event at the Paris Air Show, following Pescara’s new helicopter, was the arrival at the 1967 show of two U.S. Air Force HH-3E Jolly Green Giants, flown non-stop from New York to Paris on a 30-hour, 46-minute flight requiring nine in-flight refuelings. This was not the first helicopter transatlantic flight. In 1952 two U.S. Air Force H-19s flew from the United States to Wiesbaden, Germany, making five stops en route. But it was the first non-stop flight, timed in order to land during the Air Show. At this year’s 100th anniversary show, like the shows before it, helicopters will abound. However, unlike at some of the previous shows, there will not be a "Helicopter Day" where helicopters form the focal point of the show. 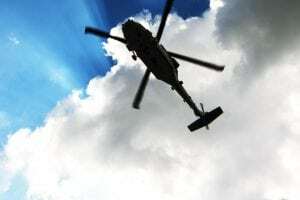 According to GIFAS, the French Aerospace Industries Association and organizers of the show, the only helicopter activity specifically arraigned for the show will be a helicopter shuttle between downtown Paris and Le Bourget. The shuttle flights will be flown in EC120s and AS 350s by Ixair HeliFrance at a cost of €300 ($410) per person round trip. The 2009 show is expected to match or exceed previous shows, despite the world’s economic condition, according to Louis Le Portz, GIFAS chairman and CEO. He said that there have been a few cancellations, but that those have already been replaced by other companies wanting space. The only real impact is that "there has been some reduction of services by some companies," such as the lavish dinners or receptions normally held by the larger companies. All 350 chalets have now been booked, as well as 100 percent of the stands area and outside space. Eurocopter will have a major presence at the show, particularly showing off a full-scale mockup of its 16 passenger EC175. The helicopter will be powered by twin Pratt & Whitney PT6C-67E engines rated at 2,000 shp each, and is expected to fly later this year. EASA certification is planned for 2011, with deliveries in 2012. The company will be exhibiting its aircraft on its static display site outside of Hall 2. These will include either an EC725 from the French Air Force capable of carrying 29 troops plus two pilots or an EC225, the civilian version of the EC725, designed to carry 25 passengers plus pilots; an EC135 that is to be delivered to the French Gendarmerie Air Support Unit; an AS 565 Panther (the last in the Panther line) to be delivered to the Bulgarian Navy; an AS 550 C3 Fennec to be delivered to the Singapore Air Force; and an anti-tank Tiger from the French Army. The Tiger may be making daily flights during the show, although that had not been fully determined as of early May. Eurocopter will share a stand with EADS, its parent company, in Hall A, number 151, as well as a chalet in Row A of the hospitality chalets. NH Industries will be exhibiting its NH90, which will be doing daily flight presentations during the show. The NH90 is produced by three European companies: Eurocopter (62.5 percent), AgustaWestland (32 percent) and Fokker (5.5 percent). AgustaWestland will be displaying virtually its entire range of helicopters at the show, including the AW119 Koala, AW109 LUH, AW129, AW139 in various configurations, and AW149, the Super Lynx and the AW101. The Italian/British company will share Chalet 373 in Row A and Chalet 133 in Row B with Finmeccanica, its parent company. The AW149 is AgustaWestland’s newest entry into the helicopter market. First announced at the 2006 Farnborough Air Show, the AW149 is a 7/8 ton class multi-role battlefield variant of the AW139. 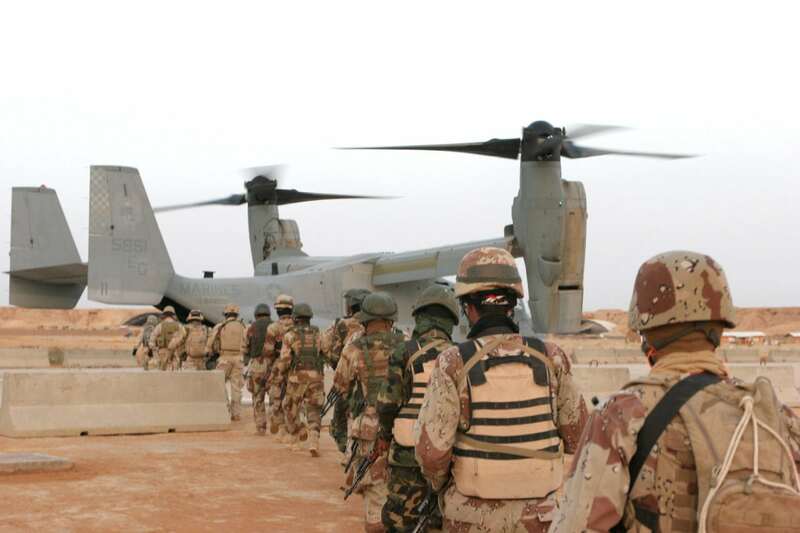 It is designed to carry up to 16 troops or 12 fully combat equipped soldiers. 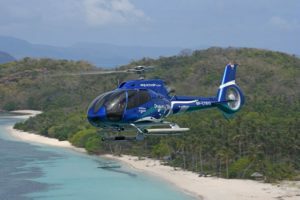 Bell Helicopter will be displaying its new 429 and the 407 on static display, as well as using the 429 for customer flights during the show, according to a Bell spokesperson. The 429 is the newest in the Bell product line, derived from the 427 and designed under Bell’s Modular Affordable Product Line (MAPL) and powered by twin 625 shp Pratt & Whitney PW207-D1 engines. 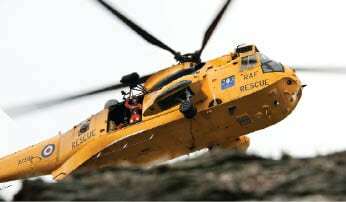 Bell will display its helicopters in Static Display area D and will have a free standing chalet, the spokesman said. Bell/Agusta is also expected to have the civilian tiltrotor BA609 on display at the show. 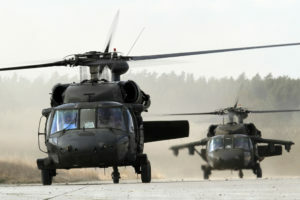 Bell/Agusta will have Chalet 385 in Row A.
Boeing will have helicopter representatives at the show, although the only Boeing helicopter on display will be an AH-64A provided by the U.S. Army. 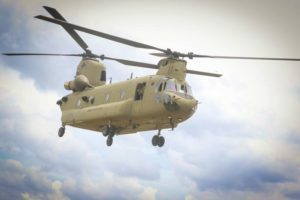 A Boeing spokesperson noted that all of the Army’s Apaches and Chinooks assets "are actively engaged in field operations" and understandably unavailable. Boeing’s representatives will be in Chalet 392, Row A and Chalet 150, Row B. According to GIFAS, the U.S. Department of Defense will also display a UH-60 Black Hawk. Sikorsky Aerospace Services is expected to make "significant announcements" on aftermarket products during the show, according to a company spokesman. Details were still being worked as of late April, although GIFAS said that Sikorsky is expected to display the S-92 at the show, and will double up with UTC in Chalet 406, Row A.
MD Helicopters will not have an official presence at the show, although a spokesman noted that top level executives will be attending in order to talk to current and potential clients. Hindustan Aeronautics, Ltd. will display its ALH DHRUV helicopter, with representatives in Chalet 316, Row A. The DHRUV is a multi-role helicopter for both civil and military roles, including anti-submarine warfare and as an anti-tank/anti-personnel gunship. Northrop Grumman will be promoting and providing briefs on its MQ-8B "Fire Scout," an unmanned reconnaissance helicopter, at the show. The Fire Scout is currently used by both the U.S. Army and Navy. Company representatives can be contacted in Row B, Chalet 180 and Row A, 420. 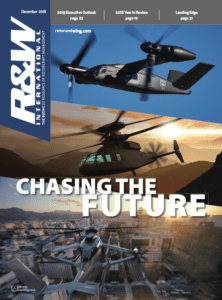 With its 100 years of tradition, the Paris Air Show continues to be one of the world’s great marketplaces for aerospace industries, not the least of which is the rotorcraft industry. With more than 2,000 companies exhibiting, Le Bourget will be a showcase for the helicopter manufacturers, their products and services providers, and their customers. For daily news, Web links and updates during the show, visit: www.aviationtoday.com/parisairshow09/. 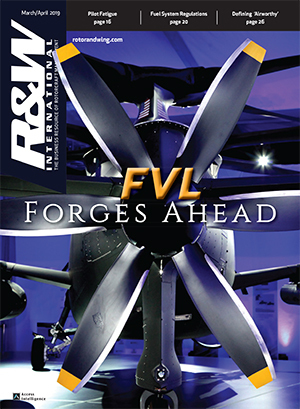 If you can’t make the show, the daily blogs by R&W’s Editorial Director John Persinos and Avionics Editor-in-Chief Bill Carey will take you there!